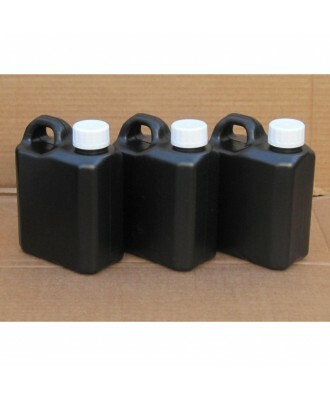 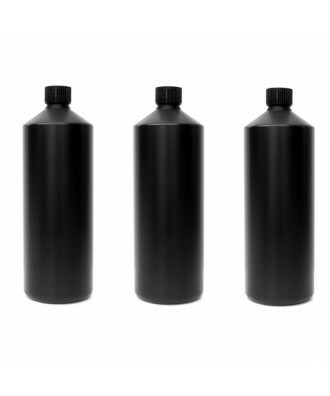 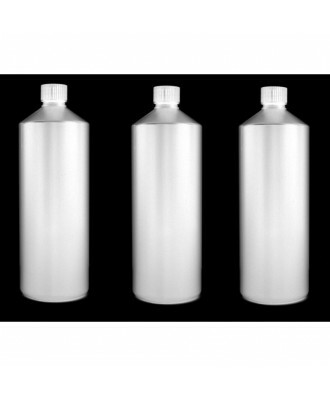 3x Darkroom chemical storage bottles - one for each chemical "developer, fixer and stop"
These are a type of jerry can style - but as a 1 liter capacity. 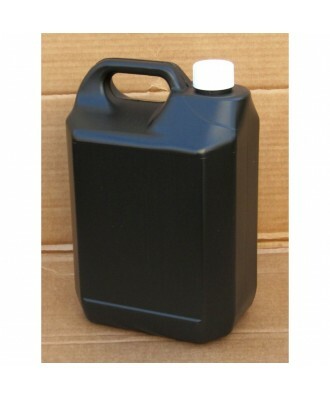 They have a 38mm wide head, and a counter levered designed handle, which mean that it is easy to pour chemicals in and out without spillage. 38mm head is perfect as it is not too small to pour chemicals in, but not so large that the contents ends up everywhere! 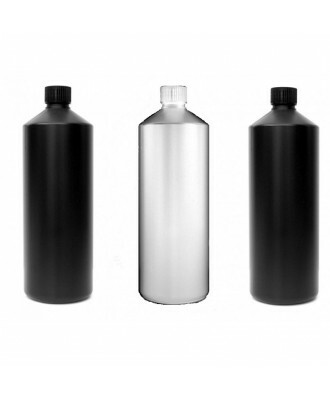 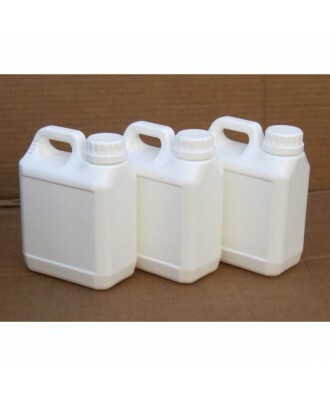 These bottles are made from chemical resistant HDPE plastic, and are excellent for storing ready mixed chemicals (upto a few weeks). 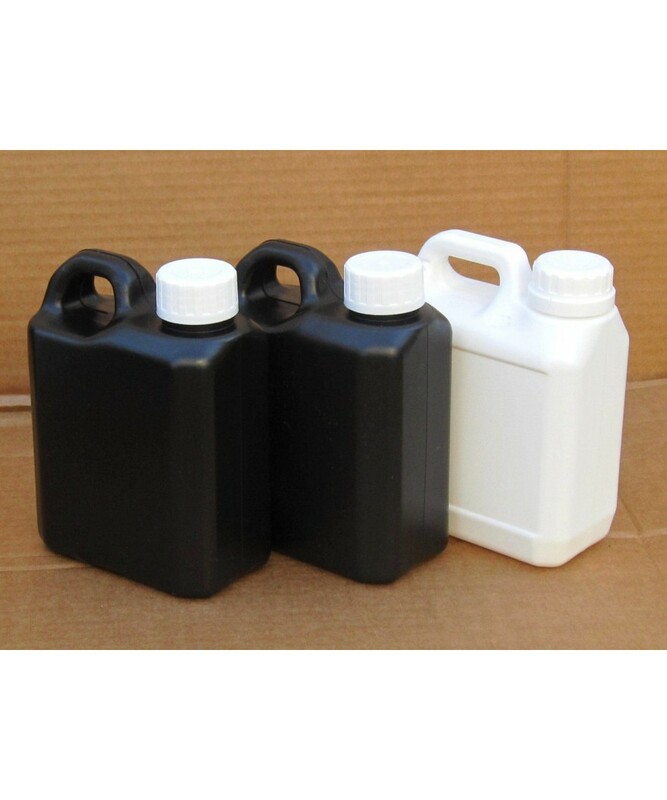 HDPE plastic is a stronger and more solid compound plastic compared to PET. 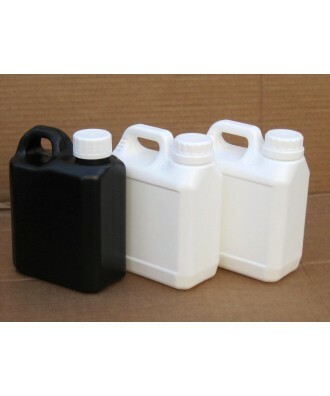 Infact, the HDPE plastic used is the same material than the AP/Kaiser bottles. 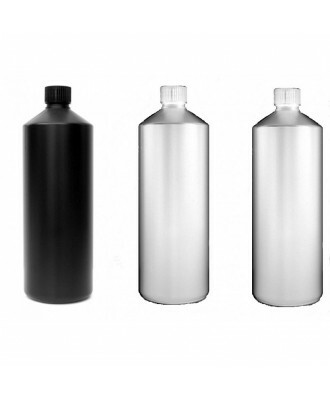 Where possible, plastic bottles are generally better than glass as they are less likely to shatter if dropped.